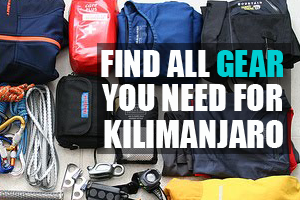 A lot of preparation work is required before you depart on your epic Kilimanjaro adventure. In this short article we discuss the essential administrative tasks you need to get sorted in terms of visas, vaccinations and medications. It is recommended you get a Visa before you travel; however, it is possible to be granted a visa on entry in Tanzania. We recommend preparing your visa before departure. Full details on visa requirements are available on the official Tanzanian embassy website for your country (Google: Tanzania embassy [your country]). There are a number of vaccinations that you should get before you travel. We recommend you check with your local GP or travel clinic which vaccinations you require. Below we have briefly outlined the main vaccinations you should get. 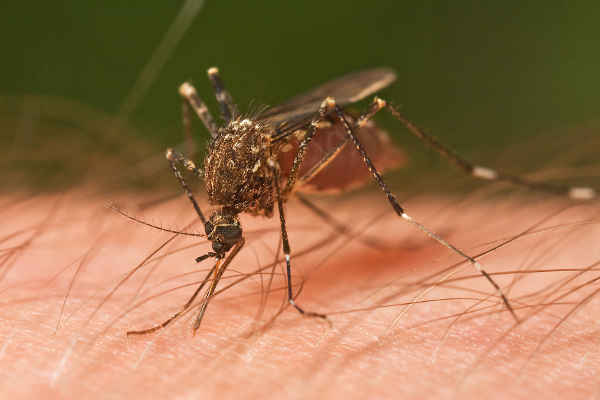 Yellow Fever is a viral disease that is spread by the bite of the female mosquito. The Yellow Fever vaccination is not essential if you are arriving directly into Tanzania, however, the vaccination is vital if you plan on arriving through any country that is subject to yellow fever. If you simply stop in transit at an airport en-route then you do not require a vaccination. If you leave the airport though, even for a short time, you’ll need a Yellow Fever vaccination card. It is a good idea to get vaccinated for both Hep A and B. Hep A is transmitted by direct person-to-person contact or through exposure to contaminated food or water, particularly uncooked foods like salad, shellfish and fruit, or ice in bottled water. You are at highest risk of Hep B if you are sexually active with the local population, work in the healthcare field or require medical treatment. Exposure to rabies is relatively low. If you plan to spend a lot of time in the country, particularly in rural areas, then it might be a good idea to get a rabies jab. We recommend consulting your doctor to understand the risk in more detail. It is a good idea to get a Diphtheria/Tetanus/Polio booster if you have not had one in the last 10 years. Typhoid is spread via contaminated water and food. It is worthwhile getting a typhoid inoculation before coming to Tanzania. In addition to these vaccinations you should have a general medical check-up before you leave for Tanzania. 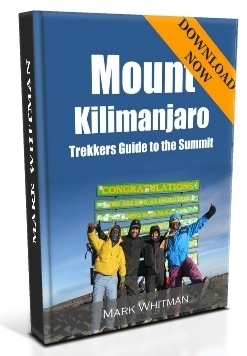 If you are in a fit and healthy condition you should be able to cope with most things that Kilimanjaro throws at you. But rather be safe than sorry. A medical check-up is especially important for people who suffer from asthma or have any pre-existing medical conditions. 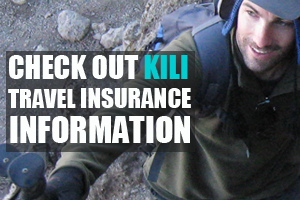 We highly recommend you get adequate trekking and travel insurance for your Kilimanjaro adventures. Make sure to keep your policy number and emergency contact numbers on you at all times. We have written a detailed article on what type of trekking insurance to get here. Malaria is an infection caused by the bite of the anopheles mosquito. Tanzania is a very high-risk malaria country and therefore every precaution should be taken to avoid getting malaria. 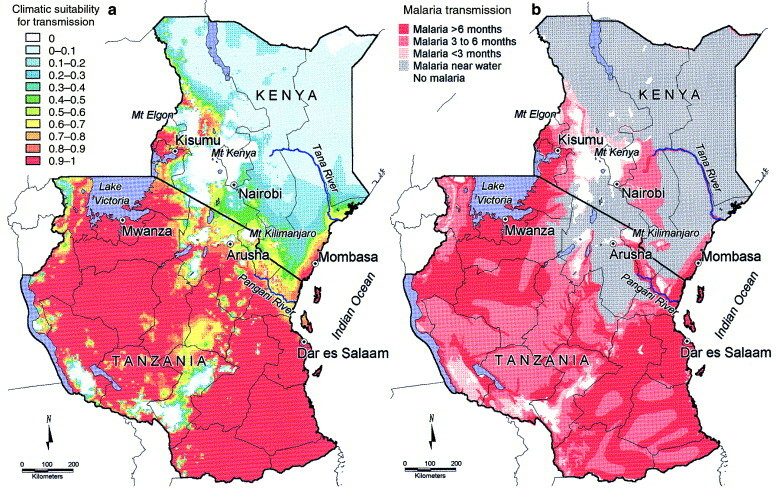 The highest risk zones are near the coast in places like Zanzibar, but inland towns like Moshi and Arusha are also relatively high risk Malaria areas (see map below). The good news is that the anopheles mosquitos is not found at high altitude. You are unlikely to come into contact with this malaria-carrying mosquito over 2,000m. Therefore as a trekker your greatest risk of infection is just before and after your climb. Wearing long trousers and long-sleeve shirts that are light in colour (mosquitos are attracted to dark colours). The trouble with Malaria is that it only takes one bite from an infected mosquito to contract the disease. The only really sure way of avoiding infection is by taking anti-malarial drugs or prophylaxis. There are various anti-malarial drugs on the market and we recommend consulting your GP to decide which is best for you. The type of drug depends on many factors such as length of stay, your age and the degree to which resistance to the drug has occurred in the region you are travelling to. The three main drugs are Mefloquine (brand names: Lariam, Mephaquin or Mefliam), Doxycycline and Malarone. Larium is a popular anti-malarial drug, although many people complain of bad side-effects like hallucinations and nightmares. The drug is taken once a week and a full course needs to be taken to ensure effective use. Travellers can test the drug a few weeks before departing to see if they suffer any side-effects. Some research has suggested that Larium predisposes people to acute mountain sickness (AMS). It also has side effects that mimic those of AMS making diagnosis difficult. Malarone is a more expensive drug but appears to come with less potential side-effects. Still have questions on malaria, yellow fever or any other administrative issues for Kilimanjaro. Please leave a comment below and we will respond within 24hours. Victoria Secret Model Scales Kilimanjaro! I’m climbing Kili and then spending 5 days on Pemba Island. I assume I need maleria tablets for the few days before I climb and then after the climb but not whilst at altitude. What do you recommend I do? Should I take tablets for the few days before, stop on the mountain and then start again before I reach the rainforest region? Hi Rosie, most courses of malaria medication require constant use throughout the period that you are exposed, even if there is a period where you are not at risk. I would consult your GP to get proper medical advice though. All the best! If transferring through Kenya, then no. Hope this helps. 1. Will the vaccination be effective already? Hi Henry, Unfortunately I don’t know the answers to your questions. I suspect you doctor will be best placed to answer them. Cheers! 1. I am flying to Niarobi, laying over one day, then flying to Tanzania to climb Kili. Afterwards I will return to Niarobi and spend @ 9 days before leaving. Do I need two separate visas or is there one that will cover both countries? 2. I am from the US and the CDC does not recommend Yellow Fever vaccinations for people over 60. My doctor will not prescribe the vaccination. 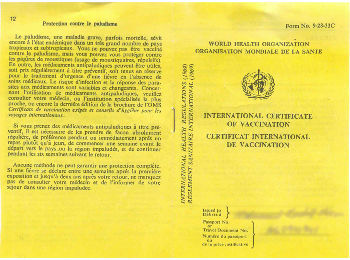 Is there something I need to obtain to show why I do not have the Yellow Fever card? Hi Judy, I’m not 100% sure on visa requirements, but believe you will need a separate visa for Kenya as well as Tanzania. I know you can get a visa on arrival in Tanzania. In terms of Yellow Fever vaccination I recommend contacting your nearest Tanzanian Consulate to get their advice. All the best! Will taking doxycycline hinder my performance climbing? Do a lot of trekkers take doxycycline while climbing. Hi Shannon, I’m not sure about the answer to your question. Many people do take Malaria drugs and still climb Kilimanjaro, but I recommend consulting your doctor for advice. It is always a good idea to test a malaria drug for a day or two before you depart to see if you experience any side affects. All the best! I am planning to give Kilimanjaro a try next july is rabies vaccination really necessary and what is the best course for action with malaria.